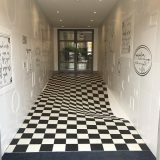 The Ouchi illusion is named after Japanese artist Hajime Ouchi. 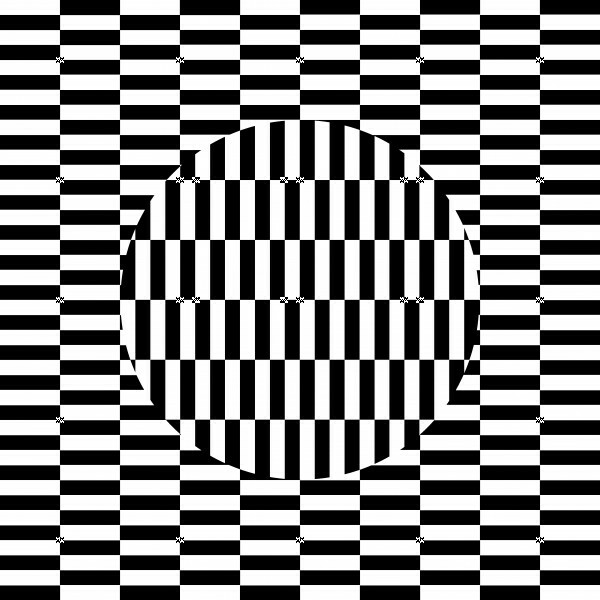 The central disk with vertical black and white bars appears to float above the background with the horizontal black and white bars. This version of the Ouchi illusion was drawn by Japanese profressor Akiyoshi Kitaoka for Visiome in 2005.